Living on your own is the first step of the “how to become an adult” rule book. You have to pay your own bills and take full responsibility for your own survival. This also extends to your home and any small repairs that may—no, will—come up. There are several tasks both big and small that you can take on without having to call in a professional. Although, if there are things that you don’t feel comfortable handling related to plumbing or electrical work, then, by all means, do not hesitate to bring in the pros. For all of the other repairs, it helps to have an arsenal of tools available for not only quick fixes but also any DIY home improvement projects that come along. If you need a little help to figure out which tool will work out best, then buckle in because we’re giving you a list of the essentials tools needed when living on your own. 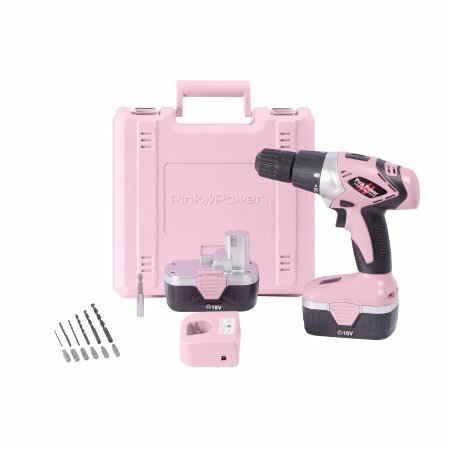 It goes without saying that having a cordless power drill is one of the best tools that you can have at home. When it comes to small jobs such as putting together modular furniture coming from local big stores and of course, Ikea, this small drill is a powerhouse. It can easily and quickly insert and remove screws. Plus, it can also drill small holes into wood and thin metal. One of the best things is that many of these drills such as the DEWALT DC970K-2 18-volt drill come as an all-in-one kit. Meaning that it comes with replacement batteries, chargers, and multiple bits to easily switch out. This particular tool is one of the most economical purchases that you can make for your home. While it might look intimidating, circular saws are perfect for making precise cuts into wood. These come in a variety of sizes from larger table saws to smaller handheld versions such as the WORXSAW Compact Circular Saw. This particular saw enables you to easily maneuver over the wood making each cut a breeze. For those who need a little more power, there are a number of larger circular saws available. However, before you go out and get the largest saw that you can find, consider what it’s purpose is. Do you plan on using the saw to custom cut frames or flooring? Maybe a room renovation is coming up. Whatever the case, just make sure that you get the right size for the job so you won’t have an unused tool gathering dust on the shelf. Whether you live in an apartment, condo, or house there will be a time when a picture needs to be hung or shelves drilled into the wall. Before you pull out the hammer or drill, you’ll do well with making sure that you are using a stud finder. This little device will help save you from hammering or drilling into sections of the walls that won’t be able to support objects hanging from them or avoid cutting through walls and into electrical wires. The Zircon StudSensor is one of the best stud finders on the market with a number of fail-safes to ensure that it finds wood and metal studs. If you need even more power, then you’ll want to take a look at an impact driver. This type of drill is useful for projects that require a lot of torque and even more power. Whether you are building a new deck, installing subfloors or even removing nuts and bolts from a car engine, an impact driver will get the job done. The Ryobi P236 Impact Driver gets high marks for not only coming from a trusted brand but providing the stability and quality necessary to do work around the house. Plus, you won’t have to worry about this drill burning out on you during use or not providing the power needed to take care of jobs requiring it. Perhaps you need a lot of smaller tools packed into one. An electric multi-tool is perfect for home improvement jobs that require more of a refined touch. The various cutting and sanding attachments can handle smaller areas and get into hard to reach corners. For example, the DEWALT Multi-Material Oscillating Tool Kitcan cut into grout to remove floor tiles. If you need to run cords from one room to another, this tool also cuts narrow holes into both wood and drywall. Electric multi-tools are great for one-off projects since they come in one small package. While living on your own can be an adventure, it doesn’t have to be a drag when it comes to any home improvement projects. When you have your own collection of tools, it makes repairs and DIY projects even easier to take care of. It helps to invest in tools that are well made and have a long-standing reputation for providing quality. This is one area where it pays to do the proper research in the search for the right tools. By having the essentials in your personal toolbox, you can rest assured that any upcoming projects on the horizon will be a breeze to complete.